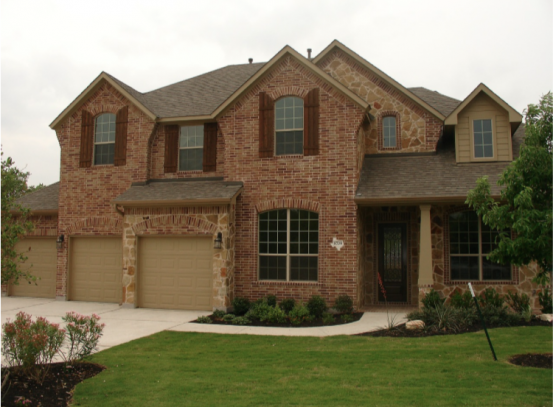 Grow the lawn you want at your new home by having your landscape inspected by a pro. Building or buying a home can be a stressful process. Making sure the new home build, or the existing home you’re buying, is structurally sound and “works” the way it’s supposed to is key to the process. That’s why you hire a home inspector to identify any potential problems that could be lurking in your future. But did you stop to think that having the landscape inspected is just as important? Probably not. It’s not common to think that you’ll need to have the lawn and landscape checked for issues. But, a poorly designed or functioning landscape, or new plantings, can cost you plenty of money down the road, not to mention disappointment. Lush, healthy lawns can’t grow in shade: So be sure to consider placement of large shade trees if you want a beautiful lawn long-term at your new home. The placement and condition of the lawn, landscape plantings and trees is just as important as the condition of the home you’re building or buying. Plants and trees installed by home builders may not result in you getting the lawn of your dreams. Is there too much shade to grow a healthy lawn where you want one? If shade trees are overcrowded, or planted in the wrong place on your property, it’s tough to grow a good-looking lawn. Are drainage issues causing continual lawn stress? Often, certain landscape updates will need to be performed before your lawn can grow strong. All too often, we’re called in by homeowners to help them grow a beautiful lawn, only to find that it’s simply not possible because of tree placement or other existing landscape issue. Remember, no amount of extra water or fertilizer will force a lawn to grow in conditions that are too shady. By working with Soils Alive at the start of the home building or buying process to identify potential future landscape challenges, you can prevent lawn headaches later and grow a better looking lawn. When reviewing your new landscape (or the plantings your builder is offering to install) consider the variety, size, and placement of each plant, especially trees as large shade trees will greatly affect the condition of your lawn. Once the shade trees expand, you won’t be able to grow a healthy lawn underneath them. So if your long-term goal is a lush front yard lawn, then you’ll need to reconsider placement of large shade trees, or remove them altogether. Often, if young trees are planted by a builder, they can still be moved to better places in your landscape without stressing them very much, as long as you don’t wait until trees have become too established. Builders don’t always space shade trees properly either. They may try to cram too many trees too closely into the landscape, just to meet planting requirements. All too often, there’s simply not enough room in the landscape to accommodate the trees as they grow, shading out the lawn and obstructing or damaging the home they are planted too close to. Make sure you pay attention to other landscaping issues such as the existing irrigation system, grading and drainage issues. All will impact your ability to grow a lush lawn. Making sure your irrigation system is zoned separately for lawn only areas, versus landscape beds, is crucial to good lawn upkeep. Poor grading, dips and holes or other drainage issues will also impact long-term lawn health. So, if you’re building or buying a home, the time to have the lawn and landscape inspected is at the beginning of the process. Don’t wait until after you’ve moved into your new home to discover potentially costly lawn and landscape issues. Give us a call and we can work with your builder, or you, at the start of the process to ensure you can grow the lawn of your dreams.